The Universe: A Journey Through God's Grand Design takes viewers through time and space, exploring how some of the greatest discoveries in astronomy were made by scientists of faith. This is a download and not a physical resource. The Universe: A Journey Through God's Grand Design, takes viewers through time and space, exploring how some of the greatest discoveries in astronomy were made by scientists of faith seeking to understand the exquisite order of God’s universe. Host Markus Lloyd (Unlocking the Mysteries of Genesis, Made in His Image, and Uncovering the Truth about Dinosaurs) is our guide as we journey through centuries of exploration that led to some of the world’s greatest scientific discoveries. Every advancement has brought us closer to an understanding of the universe--and our place in it. With stunning photography and 3-D visualizations, along with compelling testimonies from creation scientists, The Universe reveals astonishing evidence that confirms the Bible and deepens our faith. Ancients used the motions of the stars to guide them, but how and why the heavens work as they do remained a mystery. Experts reveal how early astronomers like Kepler and Galileo were driven to explore the heavens by a desire to understand the order in God’s universe. The Age of Enlightenment ushered in a period of great advances in scientific understanding , led by men of faith like Sir Isaac Newton. This episode explores remarkable discoveries that enabled us to understand distant stars and galaxies—and our place in the universe. The work of 19th-centruy astronomers gave us a better understanding of distant stars, but the 20th century secular thinking led to some faulty and fanciful theories. The arrival of spaceflight ushered in a new era of scientific advancement that would shed light on the age of the universe and accuracy of the Bible. The space race and manned missions gave us a new way to investigate the solar system beyond our own planet. Modern Christian scientists describe how astonishing discoveries from today’s space explorations confirm the Bible and strengthen their faith. Includes a digital copy of the viewer guide. Digital downloads do not include subtitles or closed captions. 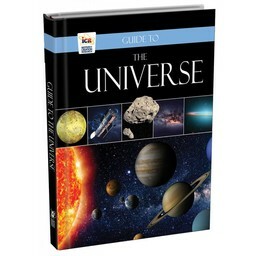 If you prefer, this resource, The Universe: A Journey Through God's Grand Design, is available with subtitles in physical form and can be shipped directly to you.